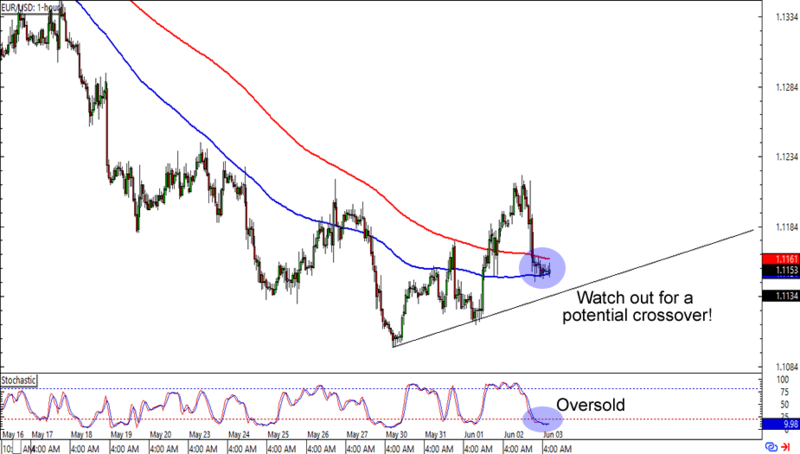 Are the tides turning for EUR/USD? The pair is currently consolidating at the 1.1150 mark, which is also near a rising trend line support on the 1-hour time frame. In addition, stochastic is sporting an oversold signal. The cherry on top of the bulls’ sundae is a potential SMA crossover, which last happened right before the pair dropped by 300 pips. Thinking of buying this one? Read up on trading trends if you haven’t done it yet! Someone holler at Cyclopip because his setup is gaining momentum! 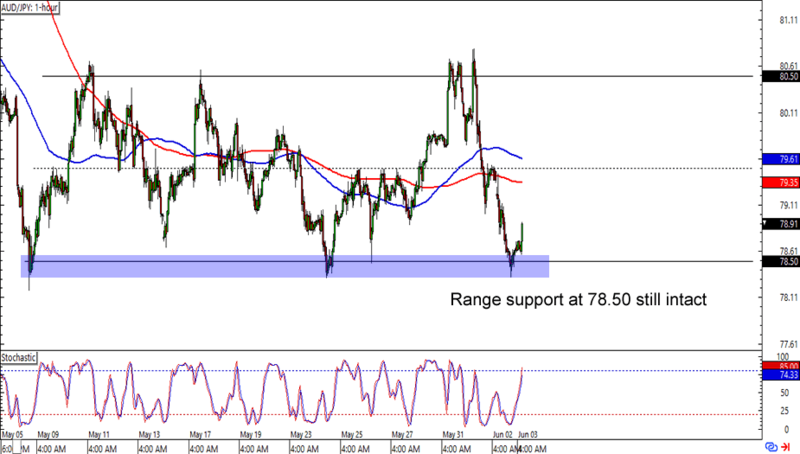 AUD/JPY has just bounced from the 78.50 minor psychological level, which is also right smack at a range support that has been holding since early May. Think the Aussie is set to go back to its range resistance at 80.50? A long trade at current levels could get you a good reward-to-risk ratio especially if you aim for the previous highs. Just make sure you make enough room for yen-related volatility! 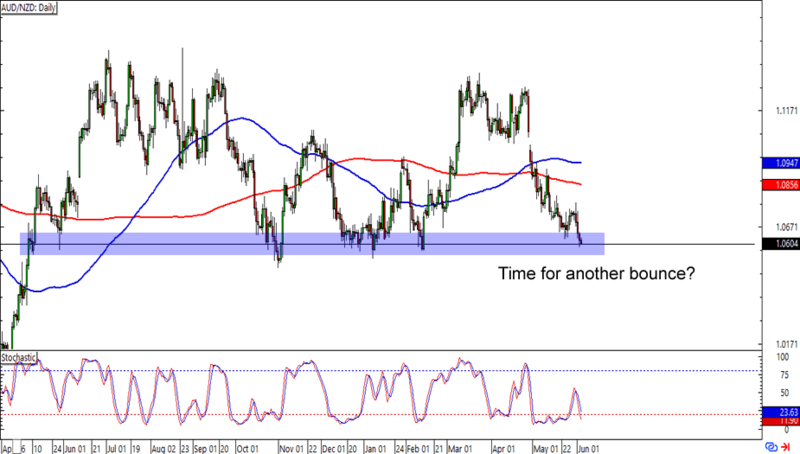 Last one for this batch of charts is a nice and simple support level play on AUD/NZD. The pair is currently testing the 1.0600 major psychological mark. What makes this setup interesting is that AUD/NZD hasn’t broken below the level since April 2015. Talk about having a strong support! Is 6th time the charm for the Aussie bears? Watch this one closely, fellas!